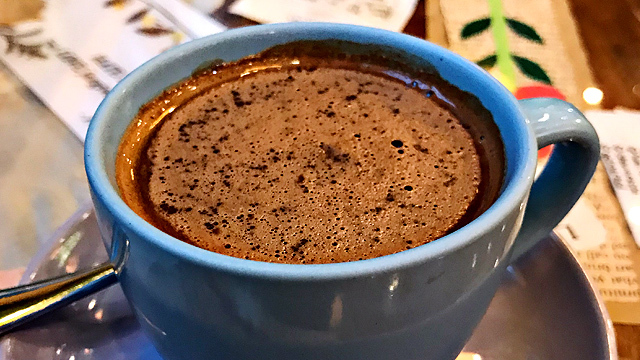 Halloween is the best excuse to indulge in sweets. 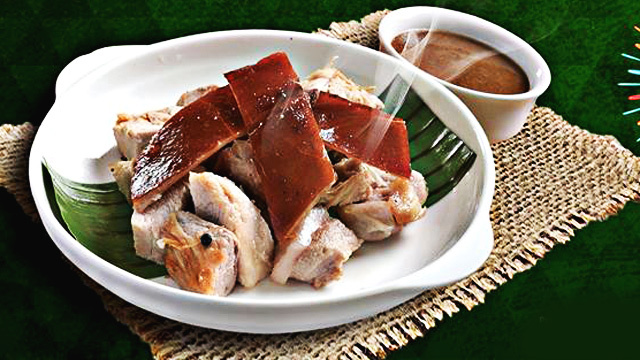 (SPOT.ph) Halloween is only one night away, which means we're all in the mood for some spooky-looking treats! 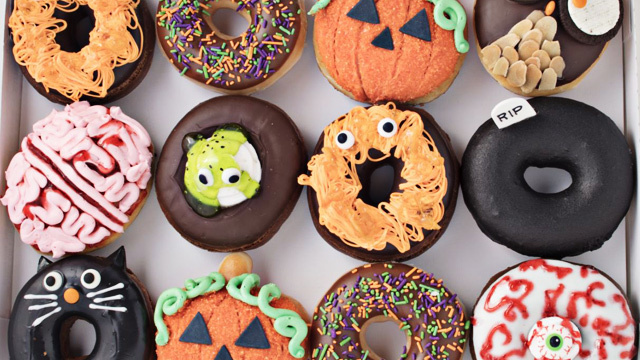 While candies and sweets are the norm for trick or treating, take things a notch higher and treat everyone to some Halloween-themed doughnuts. Tim Hortons and Krispy Kreme have their own treats that should put you in the right mood. 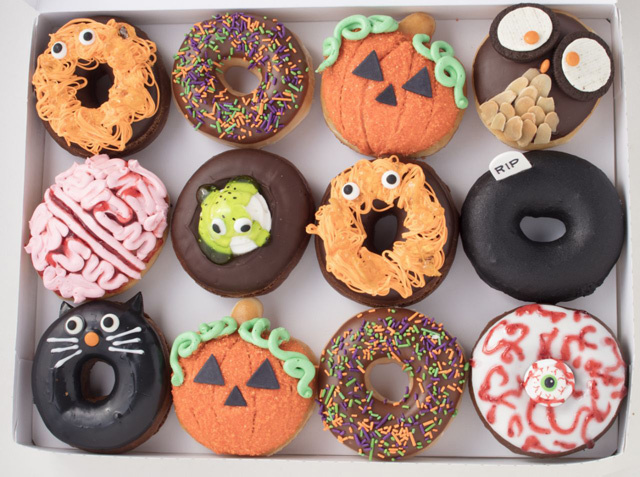 Krispy Kreme's Halloween doughnuts look extra cute in a one-dozen box! Krispy Kreme has several fun flavors for you to choose from—or to combine in a one-dozen box for P450. There are cute-looking ones like The Black Cat, The Owl, and The Pumpkin to the freaky-looking but tasty The Brain (Don't worry, it's just strawberry!). The Orange Monster is particularly interesting, too, with a chocolate-doughnut base and orange-marmalade strings. You can get them per piece for P55. With the Double Choco-Creep Donut, you get two chocolate doughnuts in one! 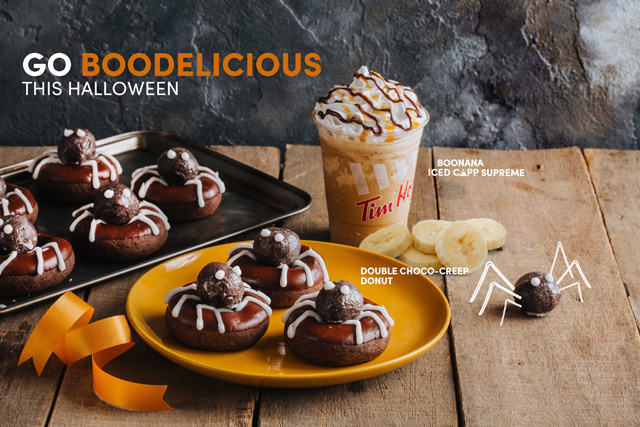 Tim Hortons keeps things simple by launching only one flavor this year, but it's scary-fun enough for the occasion: The Double Choco-Creep Doughnut (P55), a chocolate-glazed doughnut topped with a chocolate Timbit that looks like a spider—a cute one if you ask us. Pair it with their Boonana Iced Capp Supreme (P135/small, P150/medium, P165/large), which has the no-fail combo of banana and caramel.